You searched for which does not fit your . We've redirected you to 102-627, which has the proper fitment. Needed new tires for my Genuine Buddy Pamplona 150 scooter. Although I wanted white walls, all of my research suggests that given the tires on the market today, you're better off going for black walls in 10" tires. 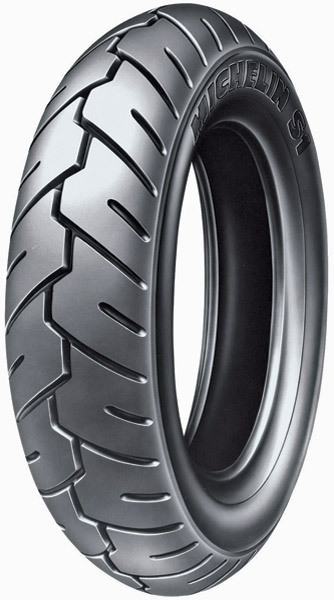 After reading many reviews I settled in the Michelin S1 100/90-10 for my scooter. I'm glad that I did. The ride has a little more "jolt" to it when hitting bumps but that could be due to the shop I brought the scooter to overfilling the tires. The ride on most surfaces though is really nice! Smooth and hugs those corners. I'd recommend these tires to any Buddy owner. With regard to J & P Cycles, they had the best price (by far) and they delivered fast! Excellent service.